04-Sep-2005 -- We've visited this point at the begining of our vacation in Crimea. 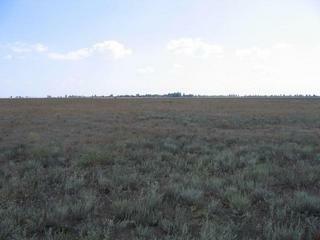 Very specific landscape: saline land (alkali soil) with poor flora. Dried up ground and grass. It is situated about 20 km from the main route from Krasno-Perekopsk to Pheodosia and 150 m from a terrible country road. There was me and my wife, our friends: Marina, Vitaly and Masha. We left a note in a plastic bottle there.